For nearly forty years, we’ve done work for countless homeowners and some of the most respected corporations, institutions, and property managers in Connecticut. Whether it’s a museum, an office, or a historic site, you can trust Benders Painting and Wallcovering LLC to bring your vision to life. Bill Bender Painting & Wallcovering specializes in residential and commercial interior painting, removal, repair, and installation of all types of wallcovering. 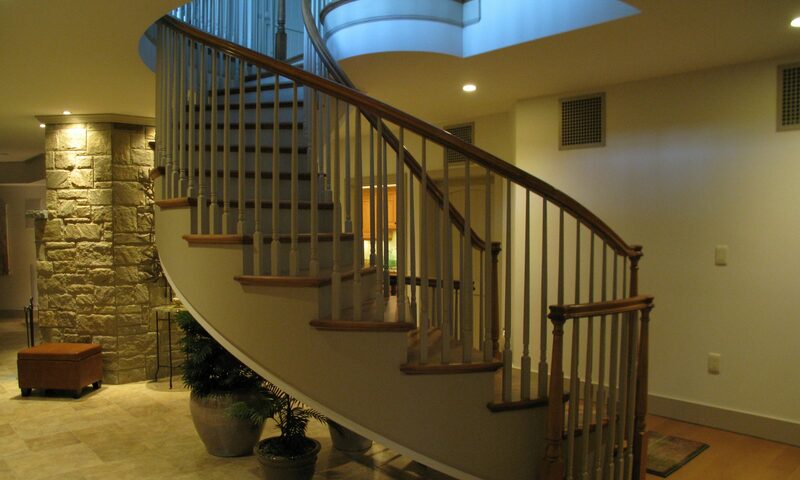 We also offer light carpentry such as crown molding, and chair rail installation. We can also help transform your kitchen with high quality cabinet painting. For all of the Windham Region, Hartford County and Tolland County. Our professional painters are all highly-trained and OSHA compliant. Benders Painting and Wallcovering LLC is an EPA Certified firm. Our team is reliable, fast, clean, and always exceeds expectations in quality, efficiency, and cleanliness. For a dependable painting and wallcovering contractor, call Bill Bender Painting & Wallcovering at (860) 228-3974 or fill out our contact form for a free estimate. Click below to see our insurance policy. Bill Bender Painting and Wallcovering is a professional painting and wallcovering contracting company. Bill started the business in 1978 in Columbia, CT following his graduation from the National School of Professional Paperhanging in Rutland, VT. We are now located in Windham Center. Through the 1980’s Bill Bender Painting & Wallcovering concentrated on installing wallpaper and later added interior painting, which nowadays accounts for a good portion of our work. Recently, you may have heard or seen on TV that wallpaper is making a comeback. Textures and bold, beautiful patterns in somewhat smaller doses than in the past are adding a dimension that you just can’t get with paint. It’s not your grandmother’s wallpaper anymore! healthier place for our workers as well as your family or workers. We are a long-standing member of the Wallcovering Installers Association (formally The National Guild of Professional Paperhangers) and the Painting & Decorating Contractors of America. Our continued membership with these organizations has allowed us to share knowledge and techniques, as well as stay abreast of the newest technology and products. In addition, we are also a member of the Chamber of Commerce, Windham Region and an accredited business with the Better Business Bureau with an A+ rating. Continuing education is vital to stay ahead of all the technological advances in paint and wallcovering industry. We use only the highest quality and environmentally safe products including Zero Voc Paints. Carries full liability and workman’s compensation insurance. Installations of all types: Grass Cloth, Wood Veneers, Digital Murals, Wallpaper Murals, English Pulps, Glass Bead Paper, Hand Painted Silk, Artist Murals on Canvas, and Handcrafted Papers. Surface Repair: Sheet rock, Plaster, and Textured ceiling removal/application. Restoration work: Muslin or canvas installation, Woodwork restoration, Hardware restoration, and Radiator restoration. Bill Bender Painting and Wallcovering is proud to now offer Abrasive Media Blasting. Click on “Abrasive Media Blasting” above to see the photos of a before and after snow plow job. Getting in touch with Bill has never been easier. You can reach us by email at bill@billbenderpainting.com or by telephone at 860-228-3974. Alternatively, you can use our scheduling service below to schedule an appointment.